There’s a reason that summer is the most popular season for weddings. With the sun shining, the warm weather, and the gorgeous views, you have all the makings for a perfect day. That being said, many people believe that having a summer wedding means that you have to adhere to a few certain rules. 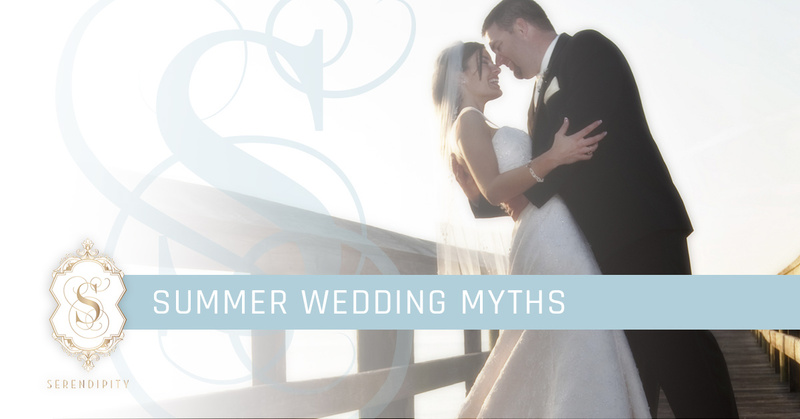 However, in today’s post, we will debunk some of the most common summer wedding myths. At Serendipity Bridal & Events in La Plata, we understand that there are a lot of things that you need to cross off your wedding checklist. 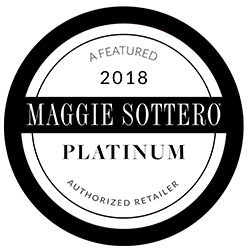 Our bridal boutique offers a large selection of wedding gowns from some of the industry’s top designers, but if crossing your gown off of your wedding checklist isn’t the only thing that you need, you’re in luck! At Serendipity, we also offer event planner services, and our experts are prepared to be there for you every step of the way. If you’re ready to tackle everything standing in your way of walking down the aisle, then contact Serendipity Bridal & Events today! Just because the weather is nice, doesn’t mean that you have to have your wedding outside. For some, the outdoors is where they are the happiest, and they want to incorporate the scenery into their big day. However, if you are not a fan of the outdoors, you shouldn’t feel pressured to host your wedding outside. You can find many beautiful venues that are located indoors, and if you want to please guests that fancy an outdoor wedding, try and find an indoor venue that features a lot of windows or has an outdoor patio where friends and family can mingle. Bright, vibrant colors are often associated with summer, and it’s common to see those colors chosen for summer weddings. That being said, you don’t necessarily have to pick bright colors for your wedding, especially if they don’t fit in with your theme. You have the option to choose more subdued hues if that fits your taste. If you plan on having a wedding in a more natural area, then it even makes sense to opt for more earthy tones to give your wedding an air of elegance. One of the biggest concerns people have with a summer wedding is that the heat will ruin the flowers, cake, and decorations. While this may be true if you don’t take the time to think ahead, it doesn’t necessarily have to be the case. If you live in an area that is prone to high temperatures during the summer and you plan on getting married outside, make sure that you take into account the heat when planning your wedding. Look for flowers that are durable and can withstand the temperatures, or ask for a cake made with fondant instead of buttercream to avoid it melting. 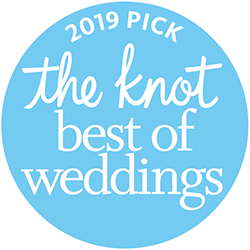 In order to make your wedding a success, there are many things that you will need to cross off your wedding checklist, but with help from Serendipity Bridal & Events, planning your wedding is easy! 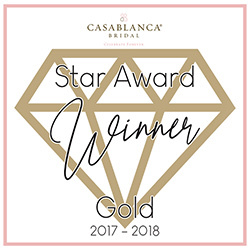 From finding the perfect dress to cutting the cake at your reception, no detail is too big or too small for our expert wedding planners. Get started today and contact Serendipity Bridal & Events in La Plata!